With amazing views across Bristol, Holly Court offers exclusive accommodation in the beautiful and vibrant area of Cotham. Ideally located directly opposite the University of Bristol and surrounded by trendy cafés, tea rooms, eateries and several student pubs. 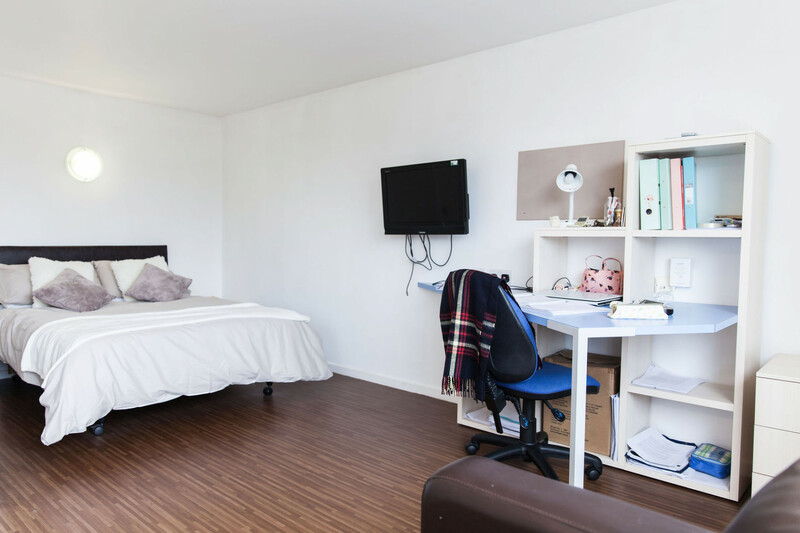 Holly Court is made up of 41 larger than average student studios, with three having their own terrace area, and four one-bedroom student apartments. All of these rooms are fully furnished to a high standard with a modern fully-equipped kitchen including an oven, dishwasher and your own washer/dryer so you don’t even have to leave your room to do your laundry. 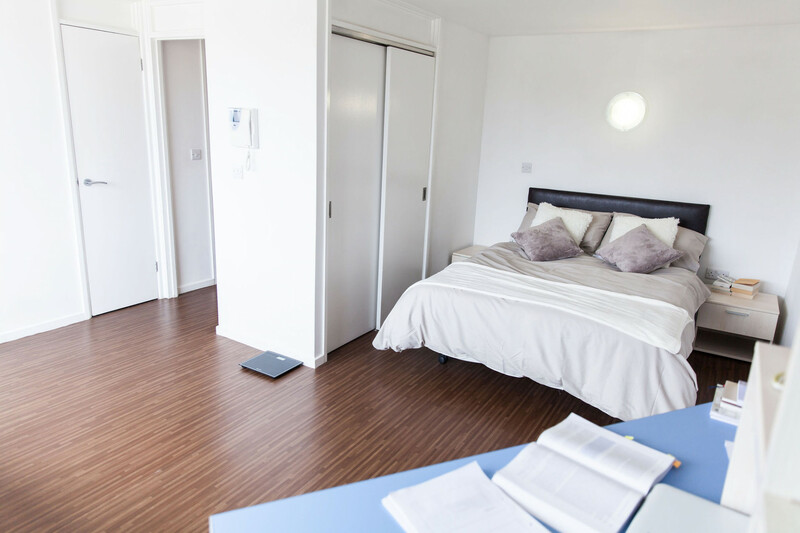 All rooms are en-suite and have a comfy double bed. There is also a fantastic communal roof garden located on the first floor of the building where you can kick back and relax when the sun is out or cosy up in front of the flat screen TV in the communal lounge for a relaxing night in. Whether you’re a postgraduate, couple, or fresher – Holly Court is the ideal place to enjoy your time as a student in Bristol.